The impact of AHOY in the words of our team. Alfie (18), born and raised in Deptford, is a champion for diversity and calls himself a ‘Man of Deptford’. 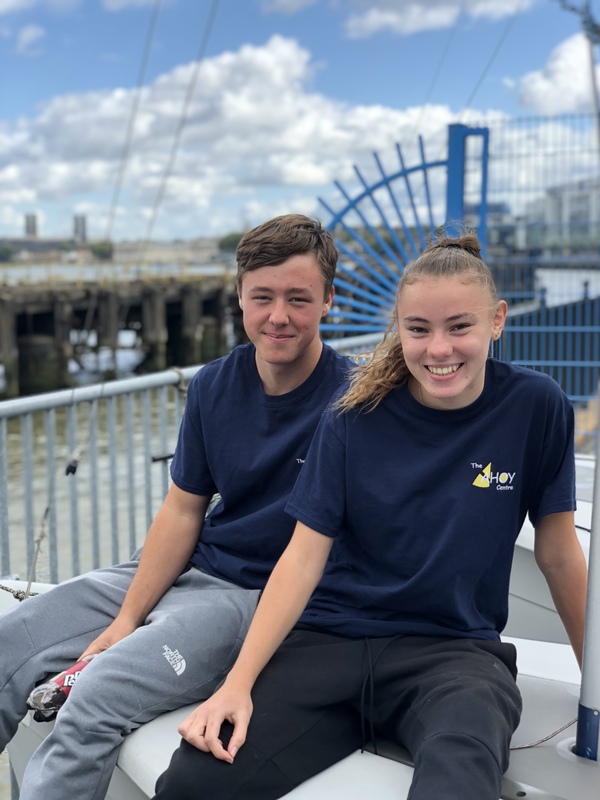 He has now worked at The AHOY for two months following his Apprenticeship and is a full time watersports officer working and engaging younger people with his craft. 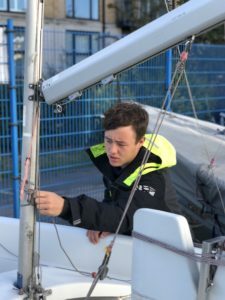 Alfie discovered The AHOY in 2012, aged just 12 himself, through local youth group. At the time he was either riding his bike around Lewisham or getting into trouble for climbing scaffolding. He dipped in and out of the Saturday Shipmates course, never really committing. 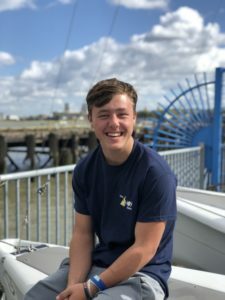 But it wasn’t until his 16th birthday, on the brink of leaving school that he made the decision to take a serious step – ‘I never wanted to fester in where I was.’ After spending almost 4 years of Saturdays at The AHOY alongside his busy social schedule, it was his ‘good, strong, Mum’ – who runs the Deptford People’s Project who convinced him to join the AHOY’s Apprenticeship Scheme. ‘Before I joined, I told myself I had to fix up. I’d made certain promises with my family that I would stand by.’ – and he remains stood by the promises he made to this day. A few months of hard grafting, long days, and wet boots full of Thames water, he realised what he was gaining – ‘I’ve been tarred with hood rat for so long. At AHOY, I was no longer a hoody – I was a person.’ Even more proud of his tracksuits, a symbol of himself, once he was earning a steady pay cheque and building his career. Alongside all the qualifications, Alfie is most grateful for what he learnt about himself. With ambitions of becoming a marine commander and having a house in the country – Alfie is adamant his roots will always remain in Deptford. AHOY didn’t change me, it’s what made me want to change. Check out our Apprenticeship Scheme on the website here.